Boo! 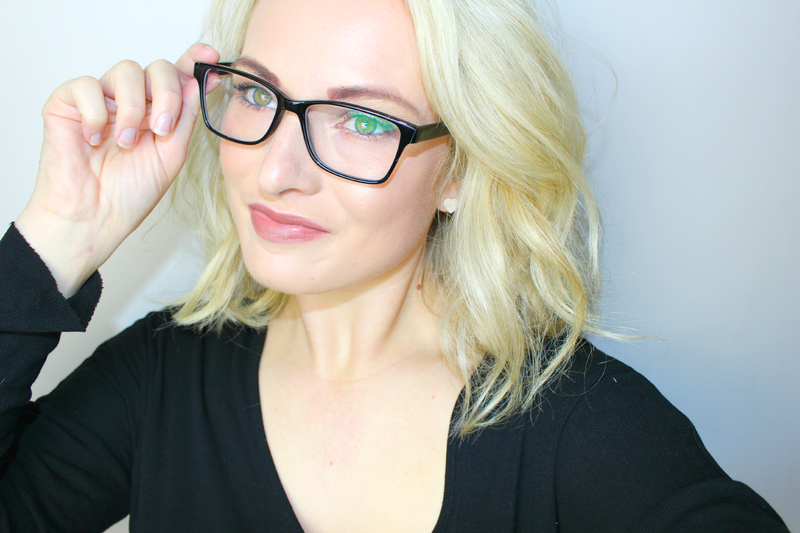 Guess who's back with some brand spanking new glasses to talk about! I'v always been worried about how I look in glasses, I think everyone gets that feeling when they aren't a 24/7 glasses wearer, but I've become alot more confident with them over the last 6 months or so. These frames are from London Retro - a brand I have previous featured on A Yellow Brick Blog (here) and it's after wearing their brand that I've felt lot more comfortable with rocking glasses. I've been dying for some squared rimmed glasses for a while now and these Metropolitan frames are literally perfect. I love the size, the style and how they look on. I have to be careful as I have such a big head haha, I never want things to ever look to small compared to my features (forehead)! Glasses Direct are a fabulous online glasses store with the great 7 day home trial feature. Pick 4 pairs to try out for free and get 7 days to pick your favourite/s - genius! These frames are priced at £95 and come in the featured black shade or a brown/black. I'm needing to buy new glasses as my prescription has changed AGAIN (I swer it's never ending!) but I don't want to spend huge amounts as I wear contacts 6 days a week so I'll definitely check Glasses Direct out :) Your glasses look fab on you! These glasses look so perfect, the shape is everything I look for when it comes to glasses! these really suit you and on definitely in need of a new pair!